Students in Cowley College’s ACES (Academic Civic Engagement through Service) program, with the help of the Ark City Optimist Club, recently raised $1,600 during its benefit pulled pork dinner. All proceeds will go towards a future Cowley College food packaging event in November, in which all food packaged will help local families. According to ACES program coordinator James Fry, a total of 243 meals were purchased. 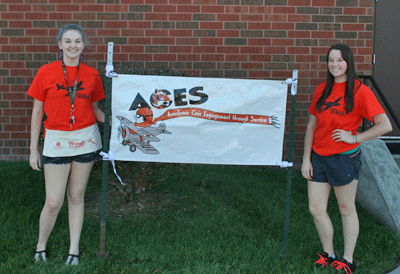 Pictured, from left, are ACES students Aspen Sanders and Kylie Wiens.